Liverpool City Council’s Cabinet has approved a new planning policy on Friday February 9 to shape the development of a creativity district in the Ten Streets area of north Liverpool, which could generate up to 2,500 new jobs. Following a public consultation last Autumn, a report to the cabinet recommended the adoption of a Supplementary Planning Document (SPD) setting the design and development principles to guide the site’s future growth over the next 15 – 20 years. The SPD document will assist in the determination of all future planning applications and any potential use of the council’s Compulsory Purchase Orders – both in the Ten Streets creativity district and surrounding areas, which have been set out into six distinct buffer zones running from Leeds Street in the south to the land adjacent to Bramley Moore Docks in the north. Liverpool City Council procured HOW Planning and shedkm to undertake the task of shaping the Ten Streets Spatial Regeneration Framework, which means the city can place conditions on design and height of new developments in the area as well as ensuring commercial development and affordable rents within the Ten Streets district are protected. Joe Anderson, Mayor of Liverpool, said: “Ten Streets has a huge potential to transform North Liverpool and this new planning policy will ensure we have the building blocks to guide its direction. 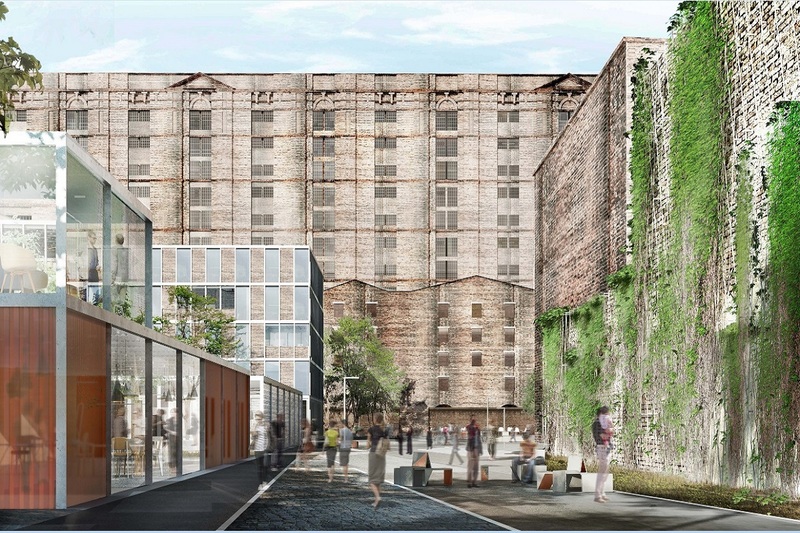 The Ten Streets vision, launched almost exactly 1 year ago, unveiled 10 big ideas to regenerate the northern edge of the city centre and the landmark Tobacco warehouse at Stanley Dock, which lies within Liverpool’s World Heritage Site. 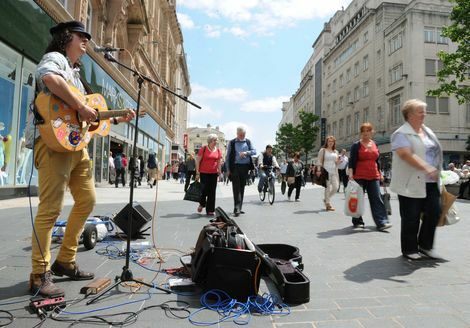 An Engine for Growth – Ten Streets is a key piece in Liverpool’s future economic vision and will be an engine for growth and renewal as a new cultural enterprise industry hub with the potential to create up to 2,500 jobs and to generate additional business rate income for the city. A Cultural stage – Building on the trailblazing work of Kazimier, Make Liverpool and Sound City, the area’s emerging reputation as a ground-breaking cultural and events destination will be strengthened with a stunning new theatre and music venue built around an international quality performance programme. Embracing Innovation – Ten Streets will be a neighbourhood with its own ambience and energy, reflecting its maritime heritage, but also a vivid expression of cutting-edge style, architectural invention, smart technology and sustainability. Making new connections – Create an open, permeable neighbourhood easily accessible to all transport modes. More than £100m investment on Great Howard St (A565), Regent Road and investment in new rail connections will be the key to connecting Ten Streets to the wider city and city centre. Creating new spaces – Squares, public spaces and pocket parks will be an essential part of Ten Streets’ creative alchemy – with a new pedestrian and cycle-friendly avenue, at the heart of a vibrant and open neighbourhood. A Creative catalyst – It’s vital that Ten Streets can make space for every kind and scale of creative innovator and sites and buildings will be specifically allocated for start-up businesses, artists, independent creatives and makers. Thriving community – The scale and style of residential development within Ten Streets will be tailored to safeguard its mixed-use, commercial and creative identity. A Vibrant destination – Interesting, diverse and independent places to eat and drink will be vital ingredients to the area’s appeal to those who want to work, live and invest there and a distinctive, diverse and independent leisure and hospitality offer will be encouraged. 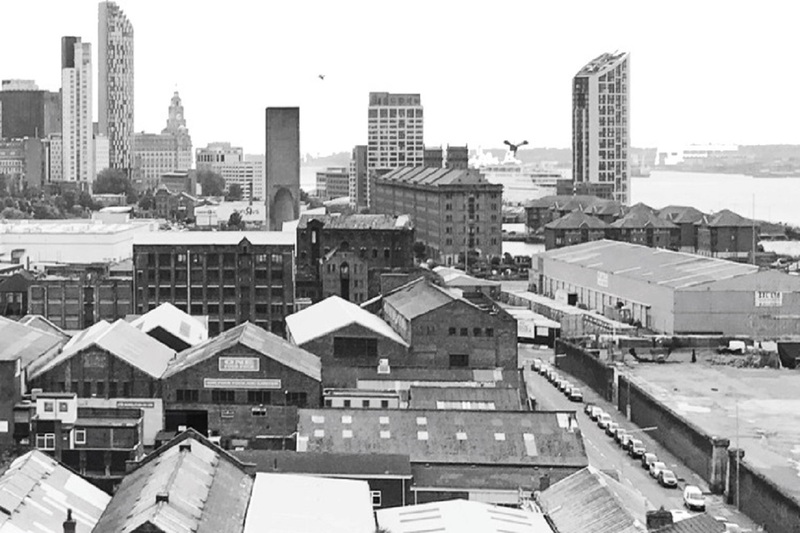 Celebrating Heritage – The Ten Streets area sits within Liverpool’s Mercantile World Heritage Site boundary and contains some of the city’s most important and dramatic maritime architecture. Conserving and refurbishing all the area’s Listed and important heritage buildings, will be a priority starting with Liverpool’s largest listed structure – the Tobacco Warehouse at Stanley Dock. The proposed creativity district lies within the poorest ward in the UK – Kirkdale – has the potential for up to 1 million square foot of development and the council is keen to attract creative companies and enterprises to flourish alongside artistic organisations. Situated on Liverpool’s Atlantic Corridor, next to Peel’s £5.5bn is a key part of the city’s big picture regeneration vision to deliver £14 billion of investment and create 40,000 new jobs over the next ten years. As a predominantly creative and employment district, the proposals for Ten Streets will complement other emerging employment areas like the Knowledge Quarter and Liverpool Waters. Liverpool City Council has committed to improving transport infrastructure in the area and is currently investing £100m in upgrading the roads, creating a new cruise terminal and is in talks to establish new rail connections. The city council also approved Regional Growth Fund to be invested in The Kazimier’s Invisible Wind Factory which is seen as one of the primary creative incubators in the district. Other key partners in the Ten Streets scheme also include Harcourt Developments, owners of Stanley Dock. It’s positive news that the proposed creativity district will be in Kirkdale, a ward experiencing some of the highest levels of poverty and unemployment in the UK, with many people living there underemployed or on a low salary. The promise of a potential 2,500 jobs will, if it comes to fruition, transform the area’s landscape and fortunes. The public consultation to the Ten Streets SRF garnered an impressive 75% approval rate, that’s not to be sniffed at, and we can see the ethos of the forthcoming Planning (Agent of Change) Bill is very much a part of the Ten Streets plan. The Bill, given governmental support last month, will protect creative businesses and although the campaign’s focus was on music venues, it applies to all pre-existing concerns, the Bill protecting against detrimental changes brought about by property developers. It’s refreshing to see that within the Ten Streets plan, any style of residential development will be tailored to safeguard the area’s mixed-use, commercial and creative identity already in place. Once the creative district and others become more attractive, developers will inevitably become interested, but we don’t want local initiatives affected negatively, and fledgling creative businesses frustrated; we’ve seen both happen in Liverpool on a weary number of occasions in recent years and even months, causing ongoing concerns, and handcuffing creativity. Developers eyeing up the Ten Streets area must consider the impact of any new plans on pre-existing businesses before proceeding, complementing them rather than swamping the place and in effect forcing others out. The onus will be on them, rather than those who’ve laid the groundwork in making the area desirable. 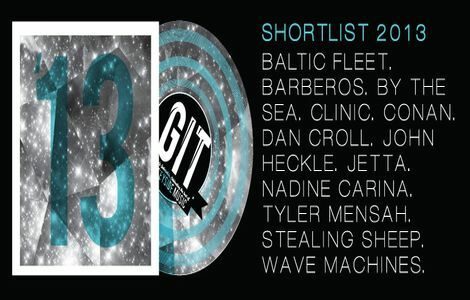 With sites and buildings specifically allocated for start-up businesses, artists, independent creatives and makers, this is an encouraging aspect of Ten Streets in terms of security and longevity of any creative ventures.